Happy birthday. I graduated in 1968. Happy birthday. Yup,I got tired of feeling older and turned it around. I was sick and tired of the tired old man thing. Happy birthday, now go out and get yourself a nice ce ice cream cone, and live it up ! I also graduated in 69, but I'm "only" 67. I gradumatated in 1956 and am still looking foreword to many more happy years. The end will come when the end comes. Happy birthday, I graduated in 67. Grad in 68. Started operating farm tractors in 1956. Moved here in 1986, started a tire shop from scratch. Never dreamed of getting old. Now everybody I see wearing Nam hats are old guys. Where the heck did it go? Gonna spend my winters in Arizona from now on. Old coots that been going there for years says it dont hurt so much being down there. 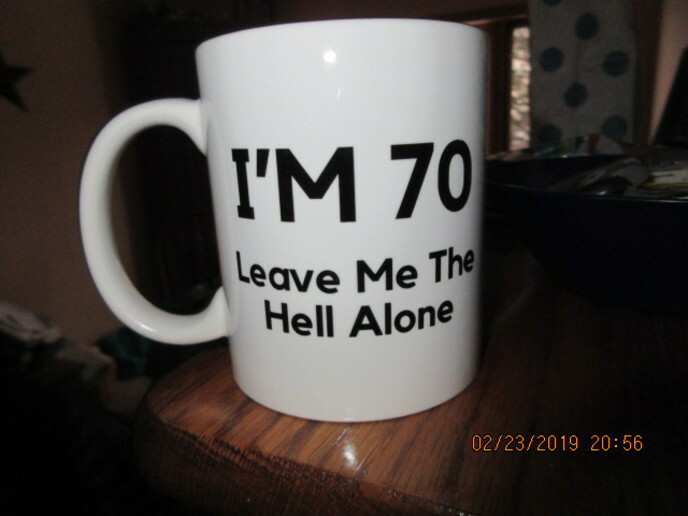 Happy Birthday Jeff, enjoy your posts, so keep doing them, and I would sit down with you if there, and polish off a bunch of them cookies with (like a old friend of mine would say) "ice cold milk"
Graduated high school in 1953..........Things get weird when you hit 80's.